Imagine a long, lazy summer ahead of you once you have finished your degree, with perhaps a graduate scheme waiting for you in September, or maybe a nice gap year where you can go and discover yourself. Now imagine, instead of all that, the thought of trekking all the way to Everest Base Camp in order to raise money for a worthy cause. Really, there’s no comparison. 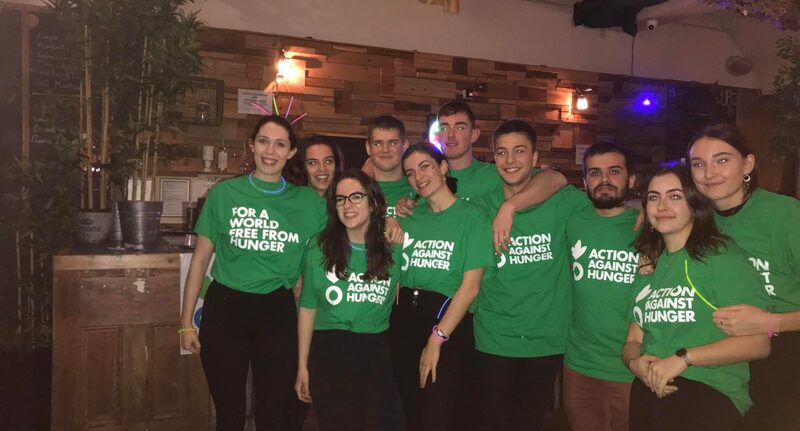 This is what a group of University of Manchester students are undertaking this September, organised by Raise and Give, an organisation which helps students get involved in charity fundraising. On the 28th January I had the opportunity to attend a fundraising event at Cubo for the Everest Trek where I spoke with Rachel Thomson, who is the Everest Challenge Leader, and Florence Wilks Costalas, about their upcoming trip and the challenges they’re facing. The hike to Everest Base Camp is in aid of Action Against Hunger, a global charity which seeks to end child hunger by making sure people have access to safe food and water. The team of students who are taking part are composed of all different year groups and subjects, brought together by their interest in Raise and Give. Rachel, who studies biology, and Florence, who studies Biomedical Sciences with Spanish are both final year students, and its clear that they’re excited about being part of a project like this. “I’ve always wanted to get involved, [the opportunity] sounded incredible, to raise a lot of money and people get behind you and you go on this huge adventure,” Rachel explains, “and the charity gets a lot from it, it’s a cool thing to do.” Its not the first time she’s done something like this, as back in her first year she participated in Jailbreak, where she made it to Oslo from Manchester in less than 30 hours. Although its certainly a once in a lifetime opportunity, the trek does sound rather gruelling. “It lasts nine days, including [days for] acclimatisation, we get to stop off in traditional huts,” Rachel tells me. The base camp itself is at around 5,380m above sea level, so acclimatisation is vital to ward off altitude sickness. They are planning on training for the hike by going to the Peak district and completing gym workouts, with Rachel joking that they’ll “go for a little run together”. Its not just the trek itself which is challenging, but also the organisation and fundraising which goes into it. Rachel and Florence, along with their nine other team mates, signed up for the trip in September, so they’ve had to plan everything alongside their university studies. “We have deadlines for each section of fundraising, which can be difficult with exams and things,” Florence informs me. “Cubo have been really good with fundraising things, but its difficult making sure we’ve covered everything.” It’s clear that they put a lot of effort into their fundraising activities, with the event in January featuring a DJ, glow sticks and donuts, making it easy for people to contribute. The team have got some more fundraisers in the pipeline between now and September, with plans to do pub quizzes and possibly a Tough Mudder. On the 9th of February they’ll be raising money in Manchester, so if you spot any Action Against Hunger buckets be sure to donate.